Below are instructions on how to set up and navigate your new RAA client portal. If you need help at any point during setup or if you have any questions, please contact RAA at (800) 321-9123 (Dallas office) or (888) 644-7757 (Atlanta office). Please note that your activation link expires after 72 hours, so please contact RAA if you need us to send you a new link. 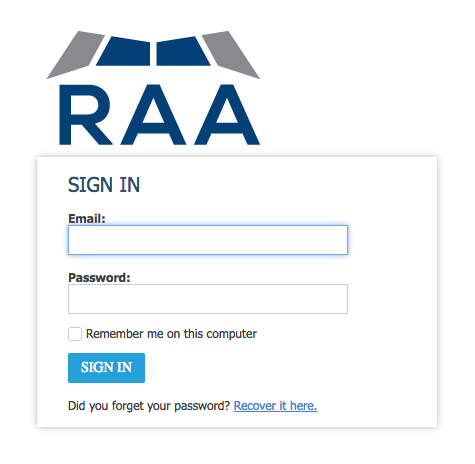 Important: If you have bookmarked the RAA login page, you will need to delete that bookmark and bookmark the new RAA client portal login page. First, follow the steps below to set up your new portal. Scroll down or click here if you would prefer to watch a step-by-step instructional video on how to set up your portal. Once you have completed the steps to set up your portal, scroll down or click here to watch a video on how to navigate your portal. You will receive an email from RAA with the subject 'New RAA Client Portal'. 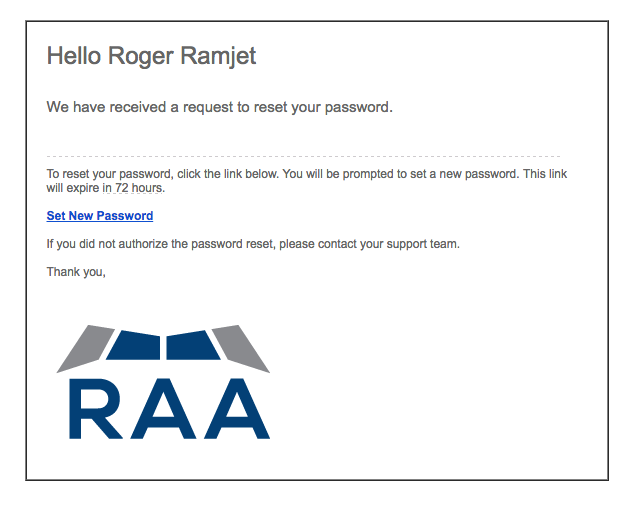 Click the link that says 'set new password' in the email you receive from RAA. 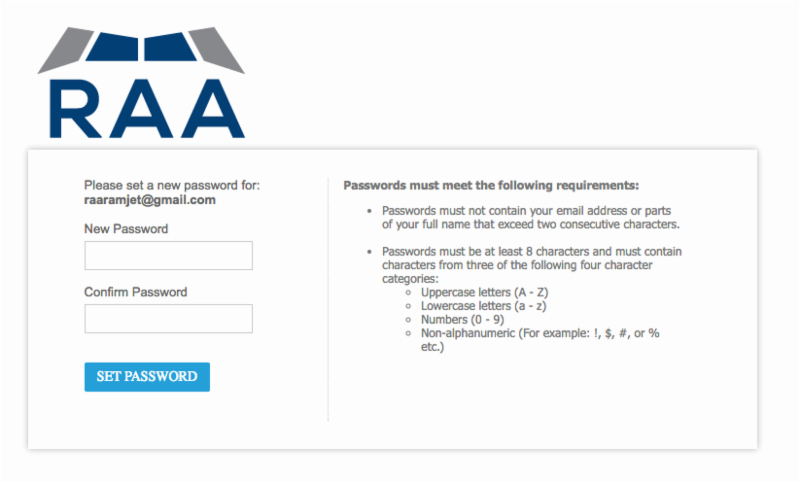 Following the requirements on the right, create your password. Click the 'Set Password' button. On the next page, enter the email and password you just created. 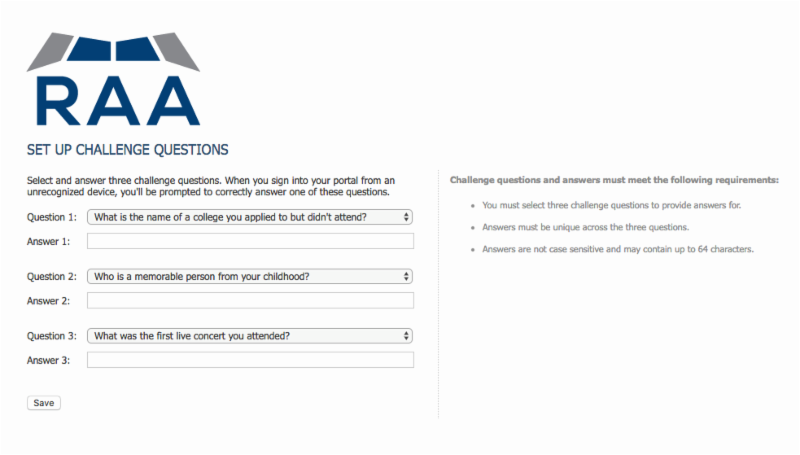 The next page asks you to set up challenge questions. Due to the increase in identity theft, we want to ensure that it's you accessing your account. When you sign into your portal from an unrecognized device you will be prompted to correctly answer one of the questions you set up. Once you answer three questions, click 'Save' in the lower left corner. On the next screen you come to, you can set up your mobile phone. This is an optional step but is encouraged. If you choose to set up your mobile phone, when you log into your portal from an unrecognized device you can request a code to be texted to you instead of answering one of the challenge questions. Read the 'Terms of Service', acknowledge that you've read them, enter your cell phone number, and request a code, which will be sent to your phone. On the same page, enter the code when you receive it. Click 'Save'. Congratulations, you have successfully set up your RAA client portal! This is what your portal will look like once you have completed the steps above to set up the portal. 1. If you forget or want to change your password, click 'Recover it here' on the Sign In page. 2. You will receive the email below (except the link will expire in 24 hours). Click ‘set new password’. 3. Following the requirements on the right, create a new password. 4. You will receive a confirmation email that your password has been reset.